Willow Elizabeth has some of the most adorable earrings! I love the multiple options for sizing and style. On top of that they are constantly coming out with different designs and colors to go with each season. For 15% off use code ERYKA15. I stopped wearing earrings while Izzy was a baby, because she would pull on my earrings when I was holding her or nursing her. Also because my ears seemed to be very sensitive to any weight that most earrings had. I have been so happy with the Willow Elizabeth earrings that they are the ONLY earrings I ever wear now! If you watch my IG stories, see my IG posts or scroll through this blog post, you will see my wearing Willow Elizabeth. I know I can’t speak for all moms, but there are just days I didn’t wash my hair and a hat is needed. Hats are a staple in my weekly attire. I love the fit of the Rey To Z hats. Added bonus you can match your spouse, friend or child(ren). I’m a mom and I’m on my feet non stop! I want to dress cute, but I need comfort as well. So I wanted to round up my favorite brands right now. You will find cute, comfy and functional shoes at Jambu, Earth, Rothys and Bogs. 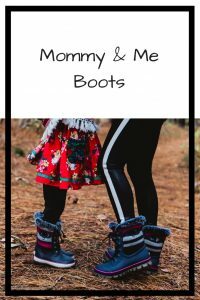 Don’t these mommy and me Bog boots have you swooning? I know not all moms drink, but I’m that mom who is thankful to have wine in the house. A bottle of wine will always put a smile on my face, especially after a LONG day. I mean, need I really say more about wine and all it’s glory? If the woman in your life is 21+ then consider a bottle of wine as a gift. Porto Vino has some fun bags for bringing wine to the beach, pool, or even a friends house. These bags come as totes, purses and even backpacks. Each bag comes with a reusable bag that you can pour a bottle of wine into. You can also put in your own boxed wine bag and have it dispense out of a hidden flap. The Porto Vino bags are super helpful when you are going to places that glass is not allowed. Gift cards are such an awesome gift! The person receiving can go pick out exact what they want/need. My favorite online boutique is Ruthie Grace. They have weekly releases and pick amazing pieces for the boutique. Make sure to write, 20% off code: ERYKA20 on the gift card for the person you are giving it to. Whoop Whoop, gift card and a discount, it’s a double gift! Last, but most certainly not least, Spanx! Once you go Spanx leggings you never go back. I’m up to 3 pairs of Spanx leggings and 1 pair of their denim and I’m addicted. I can wear a small/xs in the leggings and I wear an xs in the denim. I’m a 24 in pants, for sizing reference. Also they came out with petite so if you are shorter, this is a great length option. I’m almost 5′ 2″ and the petite is the perfect length. They are about 2 inches shorter than the normal Spanx leggings length. Click here for 15% off your first order. I love personalized gifts and you always find the best shoes! 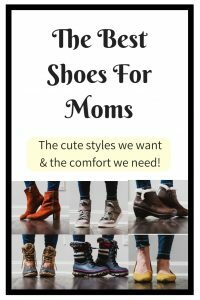 jewelry, mom gear, and duck boots are all on my wish list! Yas! Tell the hubs ?? Lol I can’t see my mum wearing spanx right now, but some of my friends who’ve just had babies may appreciate it! 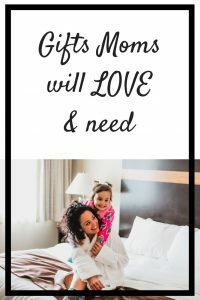 This is a great, and useful, gift guide for mothers! this is all so pretty. would love to get one for me and my mom! Ha! Where was this post when my babies were little?? I suppose I could still grab some wine accessories, eh? It comes with a wine opener! I love those light weight earrings. The boots are cute too. I am such an accessories person. This store would be a perfect place for me to shop. Ooh this really is such an awesome gift guide! I would love anything here :). I especially love the personalized jewelry! Gorgeous! I love personalization. It makes me feel special and unique! These are great suggestions! I love the idea of wine and wine accessories as gift. Fun and functional. ? Yay! I agree! Totally something I’d be happy getting! Great gift ideas! Huge fan of all things vino so will definitely have my better half check out the wine accessories. I love the wine idea it’s been my favorite lately. Lol where is all expenses paid vacation and spa day!? Oooo so many great gift ideas!!!! I would love to get shoes or jewelry for Christmas!! Super gift ideas, these! Love the boots, but that hidden wine backpack is genius! Thank you! Yas! Isn’t that wine bag fun? Personalized jewelry is so much fun! Definitely a great idea for Christmas gifts!